It’s been nearly 6 months since Mists of Pandaria launched. How different are things now that people are playing? 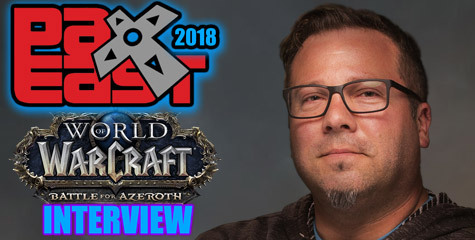 I’d say that for the most part our values have stayed intact in terms of what we were trying to accomplish with Pandaria and what we ended up delivering in terms to how it feels and the breadth of content and all the stuff there is to do. That kind of thing. I think looking back and trying to evaluate it from a… if we can go back in time and do things differently there’s not really a huge list of things that we would probably do differently. The most notable would probably be a little bit… a slight change to how our reward structure in the end game worked as it relates to how mandatory daily quests felt. 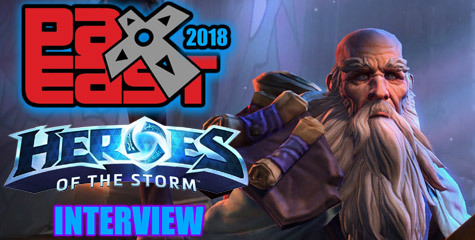 One of the things you guys are really pushing with this expansion is getting content out quicker than you have in the past – how has your process internally changed in the last year or 2 for you guys to accomplish this? Is this pace something we can expect throughout this expansion and into the next expansion? It’s certainly something we plan to keep doing. In fact we’re hoping that our capabilities continue to expand as this goes on. Hopefully this is the slowest you will ever see us in the future. So what we’ve done, part of it is structural, and part of it – well, I guess ultimately it is all structural. Essentially part of what we’ve done is separate part of the team into it’s own group that works on the odd numbered patches like the 5.1 and the 5.3. So there’s some team members dedicated to that content, 5.1, 5.3, possibly a 5.5. And then the rest of the team works on those big tiers, the 5.0, 5.2, 5.4, etc. So that’s part of what’s helped us achieve that. Also just staffing up a little bit more, we’ve continued to grow the team over time. We’re at an all time high with as many people as we have on the team and we expect to continue to increase that as time goes on. Warlocks now have a special quest with green fire – this kind of reminds me of those old quests in Vanilla for certain classes where you did something and were rewarded with something class specific (like the old Warlock and Paladin mounts) – will you be bringing in special quests for other classes like this? Or is this a one time shot? Well, we certainly want to. We really like that kind of thing. It adds some cool distinctive flavor to each class and any classes we’ve been able to do it on. It’s hard for us to commit to when we might be able to do it for any given class because it’s based on kind of time availability, people availablity as far as designers able to make things happen. There’s definitely a cost also with anytime a designer is spending time creating a quest for one particular class specifically that’s 10 other classes that aren’t getting content from that person. Hopefully we can do more of this as our capacity goes up but it’s hard to predict. When it makes sense and when we have a cool idea it’s definitely something we would keep chasing. What starts the Warlock chain on live? On the PTR it was a pretty common drop from infernals – what will we need to get the drop from on live? The way we have it set up for the spawns on the Isle of Thunder to be able to drop it. It’s certainly a lottery type of thing at first or something you can potentially buy from someone else. Then as time goes on we will increase the availability. Players can have a farm in patch 5.2. Any plans for player Housing? It definitely brings us closer. Obviously player housing is still a big jump from that and one of the bigger challenges is figuring out what player housing means with what you get to do with it and what makes it cool and that kind of stuff. But the tech does move us closer to it. What we’ve always said in the past is it’s something we constantly talk about from expansion to expansion and it’s certainly something that we’ll talk about again. Do you have any plans with the farm for the next expansion? It’s a little early to say definitely, but most likely the current farm will be left behind for something new in the new expansion For any information on that you’ll have to wait and see. How are work orders going to work in the farm? That’s a good question and honestly probably better for one of our profession guys to talk about because I know they’ve been doing some late stages of iterating on it. I would say that some of the information I have on it might be a bit dated at this point. The general idea there is being able to do things with your farm to get the work orders and complete them for the NPCs and get rep out of it. The exact details though of how that works out I probably have some dated info. Will the farm’s work orders be available to all factions daily? I don’t think it’s going to be available for everything daily, I believe it’s going to be on some kind of rotation, but again, this is totally a subject I might have dated info on. Are there any plans in patch 5.2 with the raid bonus roll loot system? Definitely. We’re also looking to give you valor for that and also increasing the amount of gold, right? There’s some point in which the gold becomes interesting to at least more people, some people though may have so much gold it’s never interesting, but that along with valor I think has a lot of potential to make it feel better. Which tiers will benefit from this bonus roll loot system? All raid tiers. Particularly in 5.2 the adjustments to older stuff are going to be pretty modest at first, but the bonus roll system in general is something we want to make feel really cool and rewarding. So even if you get the booby prize that that still feels pretty cool. One of the things we’ve also talked about is the potential to get some of that old goody bag kind of stuff like those older mounts you used to be able to get by let’s say running Stratholme over and over again for the Baron’s mount, that kind of thing. Sort of a grab bag of stuff we’ve used from time to time in the dungeon finder to incentivize tanks and all that. Will the Isle of Thunder be similar to the gates of AQ in terms of if a realm hasn’t unlocked it they will eventually get unlocked after a certain amount of time? There will be a point in which it becomes very easy for it to unlock to where it’s almost inevitable for it to unlock but not literally on a pre-set time schedule. It will still take some player activity to be able to unlock it. Eventually it will get to the point there where that’s very trivial. Now that the game has been out for 6 months, how have challenge modes been doing? Are they working the way you guys hoped they would? Are there any plans to do more with them? I would definitely say they’re working the way we planned them to. I actually think they’re extremely cool content and I’ve had the opportunity to do them myself. I’m still working on getting all my golds but I’ve been able to do some of them and get some gold medals so far, some silvers, and all of that good stuff. We’re certainly confident that it’s fun content. We don’t really expect it’s something most players will do so we’re not expecting to see the huge volumes of players doing them just because of the tuning involved and how soft the rewards are in terms of the touchy feely stuff like neat looking armor, mount, title, that kind of thing. I’m really kind of happy with how that feature turned out and plan to keep doing that in the future or at least as it currently stands. No real significant changes in mind, not until a lot of players start feeling like “been there, done that” which I think will still be quite a while. I was wondering if you could elaborate a bit on the fabled treasure vaults of the first emperor? Could you explain how that works for those who may not be familiar with it? As players do their 5.2 island content they’re going to come across keys that will allow them into the treasure vault of the Mogu emperor. That’s a single player scenario that kicks off with you talking to the Pandaren. They get you into the actual vault and you have a timer and the entire scenario is designed as a puzzle where you will progress through the scenario, try to unlock chests, and grab as much gold as you possibly can. There are other goodies in there along with gold. You’ll be navigating your way through avoiding traps and avoiding as many monsters as you can in order to spend as much time as you can getting stuff. If you get all the way into the final room that’s where a lot of extra bonus goodies are that you can try to scoop up. It’s an interesting time challenge that players will have the opportunity to do every so often. We really expect that most players that participate in the island content will get to do them fairly regularly – meaning on a weekly sort of basis not every few minutes or something like that. 10 man raids seem to be the defacto raid groups now a days – with thunderforge weapons and making them drop more often you have given some incentives for people to do 25 man raids again, but it doesn’t seem like it’s enough. Are you planning on doing more in the future to try to entice players/guilds to do more 25 man raids over 10 mans? I can’t say that we’re happy with where things are at yet because we haven’t been able to see the thunderforge stuff in action. So we’ll see how that shakes out first before we make decisions. The thunderforge items are less about trying to get existing 10 man groups to switch over to being 25. It’s almost more about getting the existing 25 man groups to feel better about the fact that they carry a higher organizational burden. We’re not interested in trying to shift the population from 10 to 25, it’s really more about making it feel like it’s satisfactory when you are a 25 person raider. 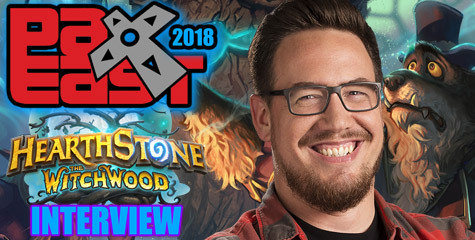 Ghostcrawler hinted at an unannounced feature in this expansion that is going to really change how WoW is going to be played, much like the LFR feature – can we get a hint on when we might see this feature and what it might pertain to? We will probably see it in the 5.4 neighborhood if we are able to get it done in time. As far as hints a lot of players in the past have suggested that they be able to do older content so it’s probably something that goes along those lines. Out of all the things being introduced in Patch 5.2 – what is your favorite thing being brought in and what are you most excited for players to experience in this patch? That’s really tough. Because it’s really the whole package that I think makes it such and awesome patch. It’s a huge amount of content in all different kinds of areas in terms of there’s outdoor world content, there’s raid content, there are scenarios with solo like the treasure hunting. I would say in terms of what gets me the most excited as a cool new concept it would be the treasure room. I think that’s going to be a lot of fun for players. In terms of what will probably bring the players most overall satisfaction and value – if you’re a raiding player it will probably be the raid tier which is definitely a big awesome one. If you’re the type that really enjoys the story stuff then the 5.2 island is for you. Very awesome. Thank you for coming here and talking to us again about this patch. I know a lot of people are really excited about it and so am I. Right on. Very cool. Take care.